In the sad saga of ships killing whales, the Panama Canal is a bright spot. In the balmy, rich waters of the Gulf of Panama, hundreds of humpback whales gather to feed and mate. But this sunny spot isn’t just a refuge for the southern hemisphere’s mighty whales, it is also the Pacific end of the Panama Canal. This shipping superhighway sees more than 36 ships ply its waters each day, including massive cargo vessels weighing hundreds of thousands of tonnes. Until recently, unregulated shipping patterns caused whales and ships to frequently collide, damaging vessels and injuring or killing the animals. From 2009 to 2012, there were 13 whale deaths in the gulf, many thought to be the result of ship strikes. Fortunately, a combination of solid whale biology and regulations passed by the International Maritime Organization (IMO) has resulted in a scheme that has lessened the frequency of those ship strikes, and is now being expanded to other countries. These traffic separation schemes (TSS), which require ships entering and leaving the Panama Canal to follow specific routes, are estimated to have cut the potential for whale strikes by as much as 92 percent, says Héctor Guzmán, a marine biologist at the Smithsonian Tropical Research Institute in Panama whose research was crucial to the development of the new regulations. Nearly a decade ago, Guzmán and his colleagues began to use satellite beacons to track 15 humpback whales in the Gulf of Panama, and overlaid their tracks with transit records for nearly 1,000 ships. They found that because there was no set path for ships to take as they entered the canal, whales and ships frequently came into contact. Further research showed that during one 11-day period, whales and ships moved within 200 meters of each other 98 times. “This started as basic, fundamental research,” Guzmán says. The next step was to find partners to do something about it. Guzmán worked with Panama Canal pilot Fernando Jaén, the Panama Canal Authority, and a range of other stakeholders for two years to refine a proposal to keep ships away from the majority of the known whale concentrations. In 2013, they took the proposed TSS to the IMO, the United Nations agency responsible for shipping safety and marine protection. The proposal was adopted in December 2014, and global shipping charts were updated to reflect the now-mandatory shipping lanes. The IMO also requires ships to move no faster than 10 knots in the area from August to November, when humpback whales tend to congregate in the gulf. So far, the regulation has been working. “From ship tracking, we know we’ve had 100 percent compliance,” Guzmán says. Guzmán is now studying whales all along the Pacific coast, from the Gulf of California to Chile, and helping countries establish their own TSS. According to an IMO spokesperson, Costa Rica’s first TSS, a two-way lane in the Golfo Dulce, is expected to be submitted to IMO for approval soon. * An area to be avoided by ships off the Península de Osa (a feeding and breeding ground for whales) has already been adopted and came into force on 1 January 2018. Peru has plans to submit a proposal to the IMO by the end of 2018 as well. Right now, Guzmán is busy surveying blue and fin whales off Chile to provide the raw data that will eventually feed into a new scheme. “These things take years, so you really need to have passion to push them through,” he says. Correction: This story originally got Costa Rica’s two protected areas backwards. It said the Golfo Dulce TSS was already approved, while a plan to protect the Península de Osa was to be submitted soon, when in fact the reverse is true. 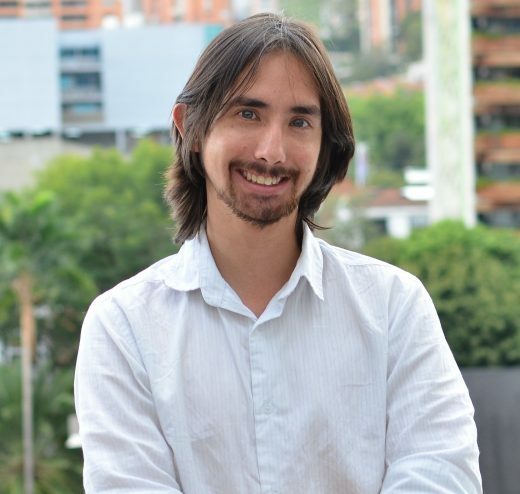 Andrew J. Wight is an Australian journalist based in Medellín, Colombia. His environmental coverage has appeared in Mongabay, Cosmos, and in news publications in Australia and Colombia. Cite this Article: Andrew Wight “Caution, Whale Crossing,” Hakai Magazine, Feb 8, 2018, accessed April 26th, 2019, https://www.hakaimagazine.com/news/caution-whale-crossing/. The Canary Island’s sperm whales are (slowly) being wiped out by ship strikes.